CUSTOMERS ARE SURPRISED AT THE NON-TRADITIONAL LOOK AND FEEL OF OUR 100% RUBBER FLOOR MATS BUT DELIGHTED AT ALL THE USES FOR THEM AT HOME, IN THE OFFICE, OR THE SHOP. This mat may feel thin, but the heavy duty weatherproof material is built to last, is 100% washer and dryer safe, and thickens and softens with every wash! Mechanics love these mats for the floor in messy leaky areas, to keep the tools spread out but handy, or under an oil changing area for easy cleanup. Fitness centers and gyms love the antimicrobial mold resistant material for outside public wash areas, public pools, or to keep wet feet from sliding around on tile floors. Hotel managers love these large floor mats for around the pool and spa to keep guests safe on slippery concrete. 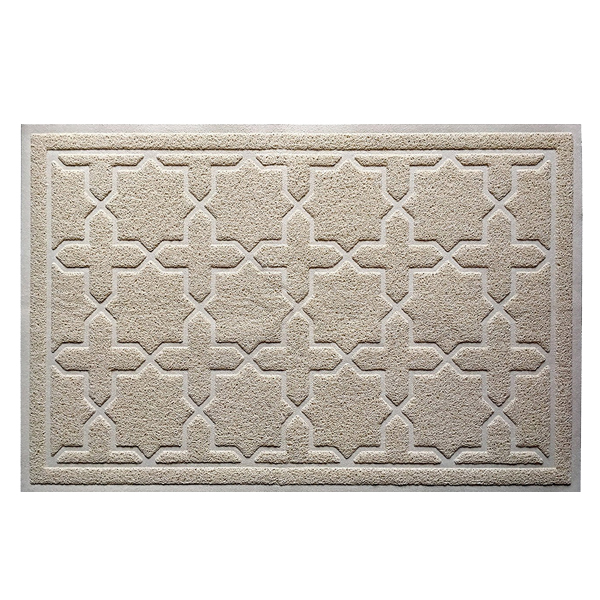 Home owners love our waterproof floor mats to protect floors under the sink or pets feeding area, as entrance floor mats to trap mud and dirt as your kids enter the house before it gets all over your floors, and for non-slip covering on any wet surface. Use as a cushioned bath back rest to protect your back from the cold bathtub porcelain or right on the shower or bath floor to keep your feet from sliding around. Got soap or oil all over it? Just throw it right in the washing machine and then the dryer on low heat and watch as it comes out like new. WHAT ARE YOU WAITING FOR? GIVE OUR QUALITY FLOOR MATS A TRY TODAY!